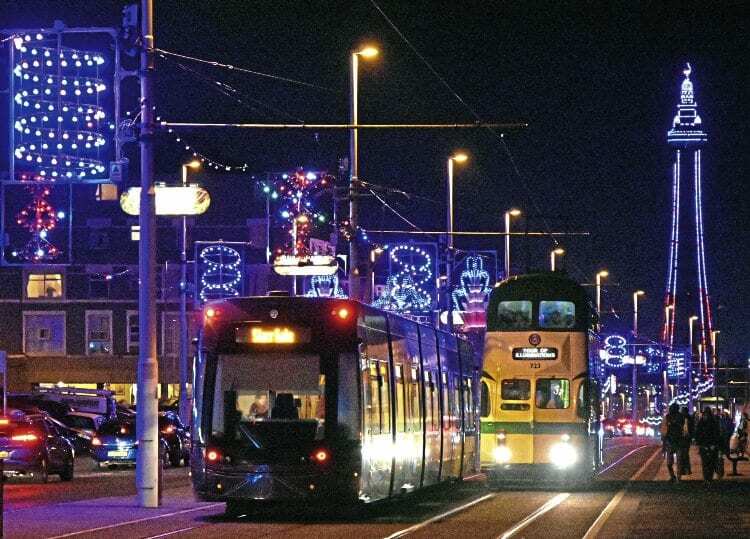 THE months of September and October proved to be busy ones for Blackpool Heritage Tram Tours (BHTT), with thousands flocking to the famous resort for the ‘Illuminations’ season. At Blackpool during the Illuminations, the heritage fleet were operating the popular Illuminations Tour services on the evening of Saturday the 14th of October, with a number of the English Electric “Balloon” trams in use. No.723 heads away from Pleasant Street tram stop, north towards Bispham, as a Flexity-2 on a normal service passes by towards the Tower. From September 1 until November 5 BHTT provided nightly tours of the illuminations, departing from the Pleasure Beach Loop at regular intervals. Much of the working fleet was in service, together with the illuminated cars, including the ‘Fisherman’s Friend Trawler’ and the ‘Western Train’. Read more News and Features in December’s issue of The RM – on sale now!